The New York City mayor is going into the op-ed business. 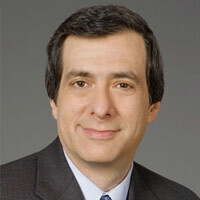 Howard Kurtz on what Bloomberg wants—and how his new venture will keep hope alive for fans who want to see him in the White House. Michael Bloomberg is already fabulously wealthy, already runs the nation’s largest city and already dominates the market for financial data. Now he wants to shape what you think about politics. Three decades after launching a nuts-and-bolts news service deliberately drained of opinion, the mayor is having the company that bears his name create an editorial page. Is there no limit to this man’s towering ambition? Is he an Americanized version of Silvio Berlusconi, determined to wield political and media power in a seamless web of influence? There are few precedents for an elected official moonlighting as a media mogul. William Randolph Hearst was elected to Congress while controlling a major newspaper chain, though he lost his campaigns for New York mayor in 1905 and 1909. And Bloomberg has no trouble getting reporters to write about whatever he wants to say. But it will become harder for him to command that kind of attention as he becomes more of a lame duck, and it never hurts to have journalistic pros put an intellectual gloss on your proposals. No need to write the occasional op-ed when the op-ed guys work for you. Of course, Bloomberg could do something conventional, like, say, run for president. No matter how much the press clamors for him to take the 2012 plunge, the mayor says “a short, Jewish, divorced billionaire” would have no chance, especially in mounting a third-party campaign. Bloomberg has said privately that the only result of his running would be to siphon enough Democratic votes to elect a Sarah Palin, and he’s not going there. When he’s not running the city during a third term that he had to change the local charter to achieve, the Democrat-turned-Republican-turned-independent is sounding off on national issues. He recently lent his prestige to No Labels, a group dedicated to nudging the debate toward the center by calling out extremists in both parties. Starting an editorial page might sound like a fusty, old-fashioned way to offer civic guidance, but Bloomberg News is not a newspaper—it’s a wire service, cable channel, magazine (Bloomberg Businessweek) and financial stream delivered to the terminals of the mayor’s onetime trading buddies on Wall Street. And by hiring two heavyweights to launch the new venture, Bloomberg signaled that he is throwing his full weight behind it. Jamie Rubin, the former State Department spokesman, will handle foreign policy. He got to know Bloomberg when the mayor defended the construction of the so-called mosque in Manhattan. David Shipley, op-ed editor of The New York Times, will oversee domestic policy. Both are left-of-center thinkers with independent reputations who will work out of the Bloomberg Foundation offices. Armed with the boss’ cash, they should have no trouble attracting big-name columnists and contributors. Rubin was quoted in a press release as promising “ideology-free, empirically based editorial positions about the pressing issues of our time.” Since no political opinions are completely free of ideology, as opposed to party dogma, what this really suggests is that they will reflect Bloomberg’s eclectic menu of policy positions, from favoring gun control to cracking down on excess salt in restaurant meals. Would these editorials-by-proxy violate Bloomberg’s agreement not to get involved in the day-to-day management of his news service while working at City Hall? Insiders liken the arrangement to the relationship between a publisher and his editorial board, where the boss sets a broad direction but weighs in only on major questions such as candidate endorsements. But the clock is ticking on his mayoralty, and in national politics, if you aren’t running for office or holding an office, it can be hard—even for a man of great wealth—to break through the static. But it’s a bit unsettling when that boss is the mayor, and when his news service will undoubtedly be taking positions on issues involving both New York and national priorities where Bloomberg is trying to raise his profile. But Bloomberg is clearly looking for a bigger megaphone, beyond that afforded by the news service’s 2,300 journalists. Their just-the-facts approach has given the operation a bedrock credibility, but the result is a plain-vanilla image that does nothing to advance an agenda. In politics, Bloomberg can be a steamroller. He spent $108 million of his fortune against weak opposition to win reelection last year, but that required him to mount a campaign against a term limits rule he had once championed. He ignited a firestorm when he named a friend with no education experience, Cathleen Black, as the city’s schools chancellor after shrouding his search in secrecy. But the clock is ticking on his mayoralty, and in national politics, if you aren’t running for office or holding an office, it can be hard—even for a man of great wealth—to break through the static. Mike Bloomberg, who founded a media giant that no one else realized was needed, has a way of getting what he wants. The forthcoming editorial page may not bear his name, but it will push his vision. And as he demonstrated in his Salomon Brothers days and with his startup company, he’s a pretty good salesman.